Sian Williams and Richard Coles with crime writer Val McDermid, Ulrika Jonsson's Secret Life, John McCarthy explores Utrecht and Squeeze's Glenn Tilbrook shares Inheritance Tracks. Sian Williams and Richard Coles with crime writer Val McDermid and ex-offender Junior Smart who is helping gangsters escape a life of crime, Tony Lynn investigates the mystery of the Saltburn yarnbomber, broadcaster Jeremy Vine talks about his early career on Drainpipe Radio, TV presenter Ulrika Jonsson reveals her Secret Life, John McCarthy continues his exploration of Utrecht and Squeeze's Glenn Tilbrook shares his Inheritance Tracks. Val McDermid talks to Richard and Sian about crime and redemption, the inevitability of her career and her love of knitting. 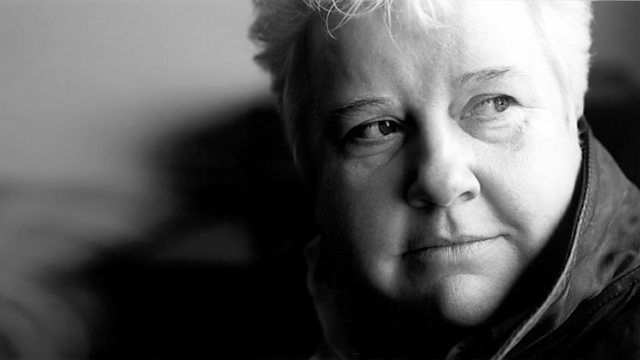 Val McDermid is one of the judges charged with finding the 100 most powerful women in the UK. Vote here for the Woman's Hour Power List. Celebrating 90 years of BBC radio, a selection of short features marking some memorable radio moments. Radio 2 presenter Jeremy Vine tells us about Drainpipe Radio. Junior Smart is an ex-offender who served 5 years for a drug related crime. He now uses his experience to help other offenders and young people. Junior will be speaking at a conference on Empathy and Compassion in Society in London on 22nd – 24th November. Ulrika reveals her secret life - doing crosswords. Tony Lynn tells us about the mystery of the phantom knitters of Saltburn-by-the-Sea whose woollen figures appear all over the Teeside town. Tell us about your local mystery. Glenn Tilbrook from Squeeze inherits They Can’t Take That Away From Me by Sarah Vaughan and passes on Que Sera Sera by Sly and the Family Stone. Squeeze are on tour across the UK until December 16th. In his second report from Utrecht, John McCarthy goes house hunting. Sian Williams, Junior Smart, Richard Coles and Val McDermid. Find out how you can tell your own story on Saturday Live. Saturday Live listeners express their gratitude for good deeds done. Vote here for The Woman's Hour Power List.